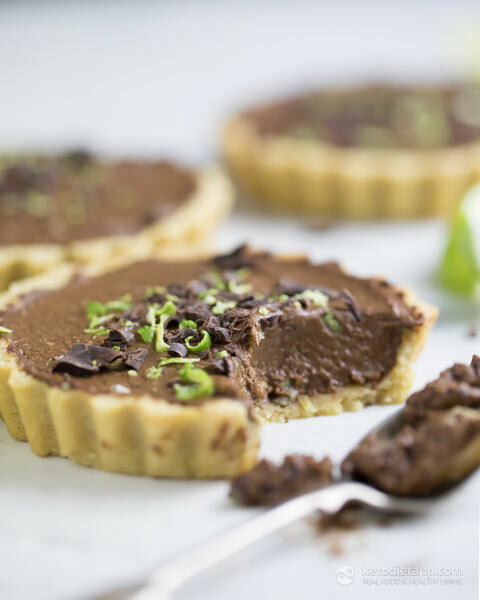 There is so much happiness to be found in a good chocolate tart. A tart to slow your pace, curl up with and forget the world exists. A cake for ‘me time.’ This is it. Cacao, coconut oil and avocado, a velvety smooth filling to coat your mouth better than any dairy milk. This is a recipe for the mother of all chocolate tarts, my gift to those of you who appreciate the value of good cake. What’s more, it’s low carb and refined sugar free. It’s positively good for you cake! Note: One whole tart can be served for breakfast, while half of the tart will be enough when served after a meal. 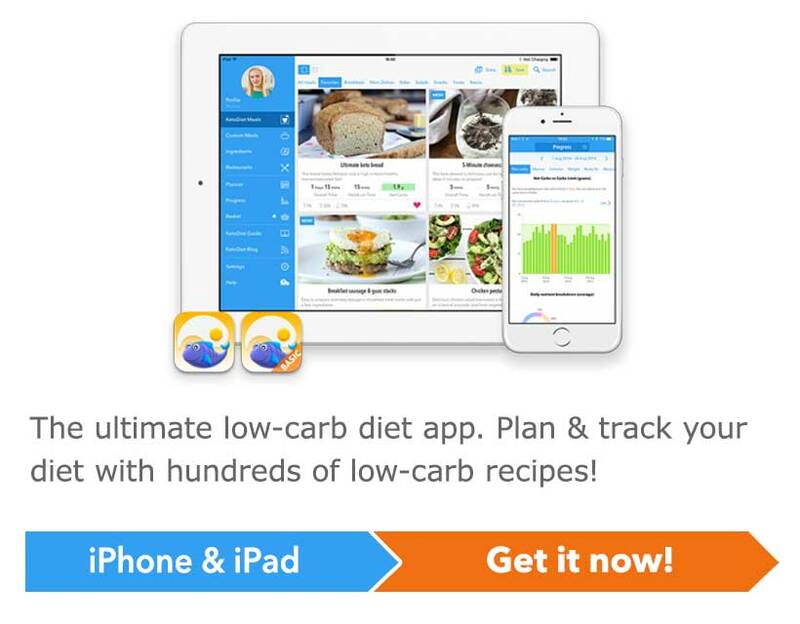 If you just started following a low-carb diet, then you may find some recipes not sweet enough. 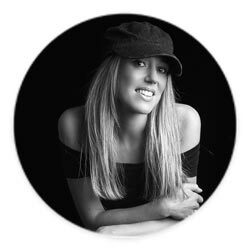 You can add a few extra drops of stevia or a little more erythritol or Swerve to suit your palate. 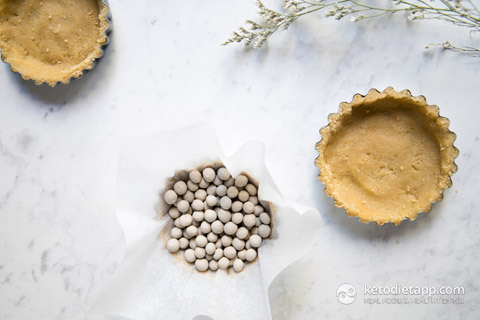 Make the low carb tart bases as per the recipe here (Just make 6 tarts instead of 8 tarts, 12 cm /5 inch each). Once the crusts are baked and golden, remove from the oven and allow to cool. Meanwhile, prepare the filling. Remove the skins and stones from the avocados. 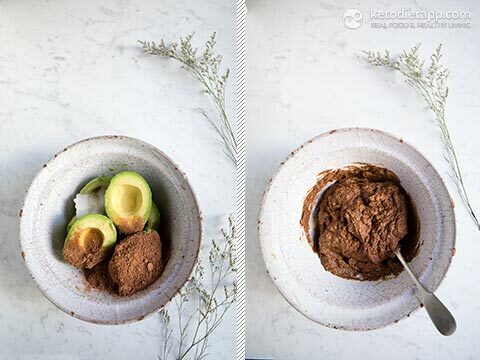 Place the avocado meat, sweetener (start with 1 tablespoon and adjust to taste), coconut oil, lime juice, salt and cacao in large mixing bowl. Using a hand blender, blitz until smooth. Taste and adjust the sweetness to your palate. 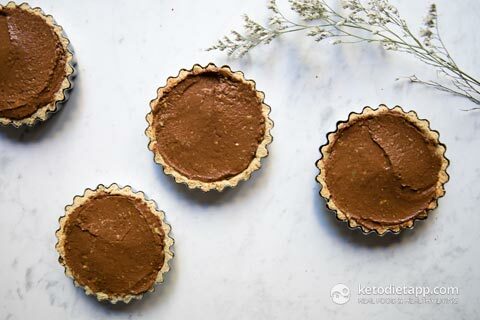 Divide the chocolate filling into 6 and fill each of the keto tart crusts. Spread evenly across the base to the edges using a spatula. Place in the fridge to set for at least an hour until set. Option to place in the freezer for 45 minutes if in a hurry. 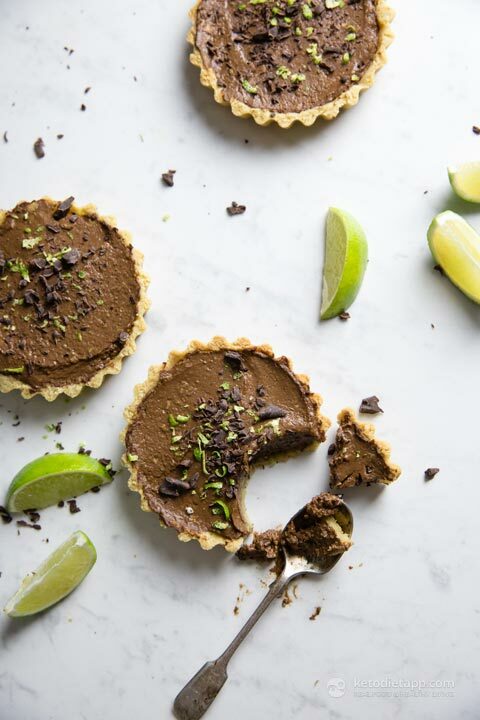 Grate the dark chocolate and lime zest. 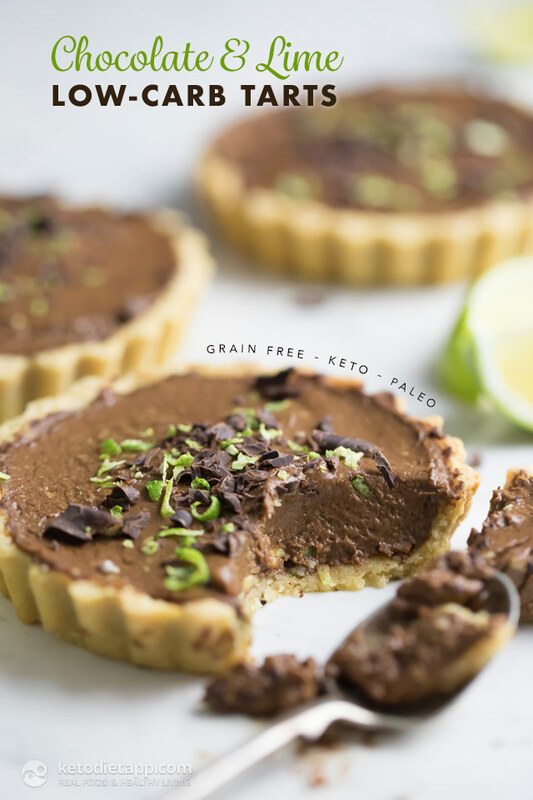 Remove the keto chocolate tarts from the fridge or freezer and top with grated chocolate and lime zest. Keep in the fridge until ready to serve. Option to remove them 5 minutes before serving if you prefer a softer filling. I like mine straight from the fridge. Pairs well with this keto vanilla soft scoop ice cream, full-fat plain Greek yogurt or coconut yogurt. One tart can be served for breakfast, while half of the tart will be enough when served as a dessert. I liked these very lightly sweet tarts. I only used 1/2 the lime juice & with the zest on top thought that gave a good amount of lime flavor. I don’t think my non keto friends appreciated them as much, but my unsuspecting daughter loved it.